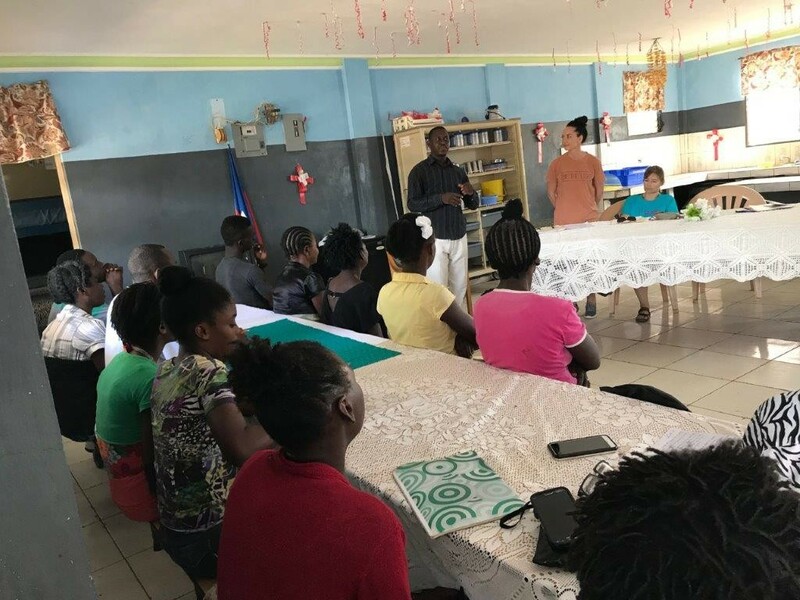 Despite challenging circumstances while in Haiti, the Lutheran Family Service and Perry Lutheran Homes team, together with Ministry in Mission, were able to open and admit the first residents into the Jacmel Lutheran Home January 9 – 16. 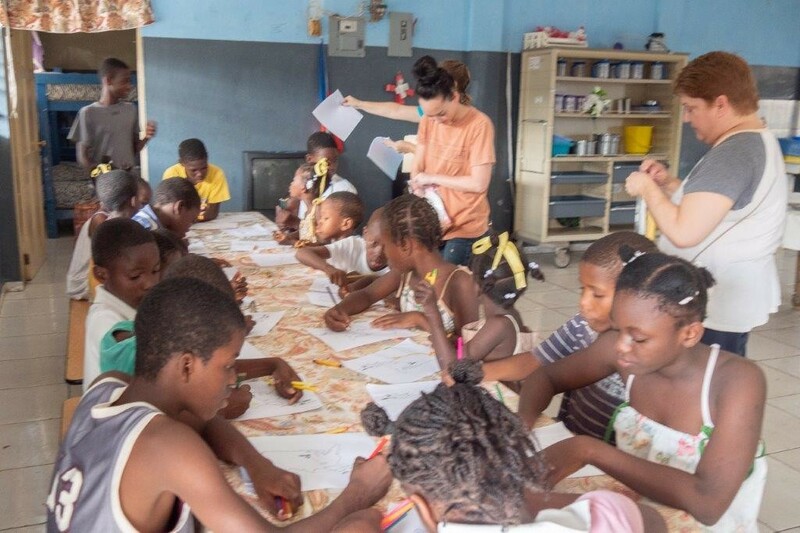 The eldercare home was designed to provide care for ten of Jacmel’s most vulnerable elders as well as foster connection with the 34 orphans living next door. 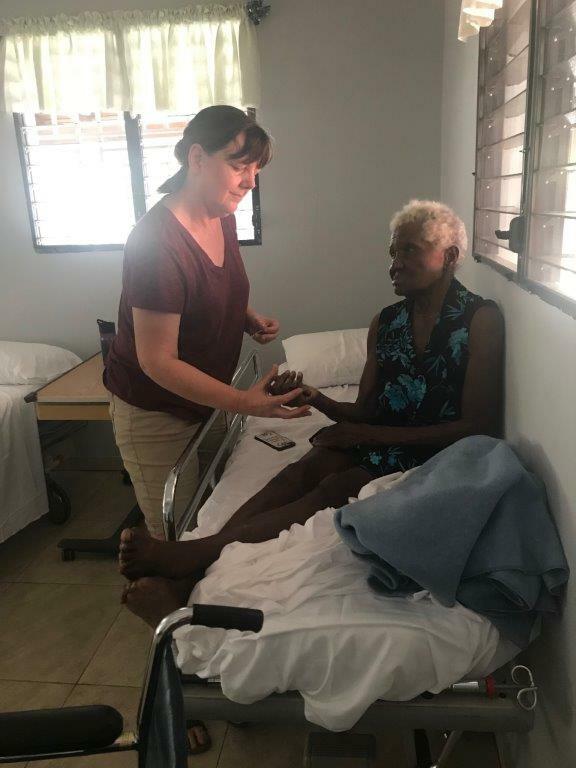 A group of top nurses in Haiti spent two days with top nurses from Iowa, Melissa Gannon, Kelly Moore and Deb Koelln of Perry Lutheran Homes to learn hands-on how to care for elders. 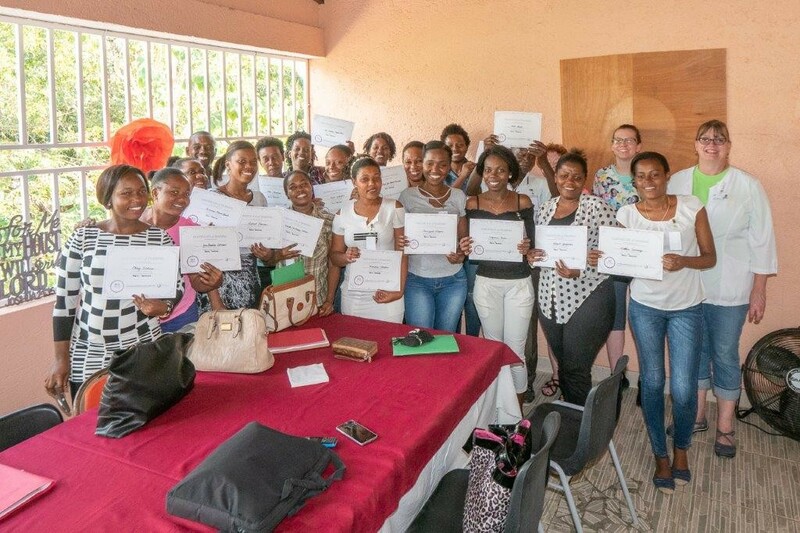 Training was concluded with a presentation of certificates and a speech from the mayor of Jacmel, Pastor Marky Kessa. Two of these nurses, along with a cook and a housekeeper, will be employed at the eldercare home. While the nurses were in training, our four pastors, Iowa District West President Steve Turner and Lutheran Family Service’s Rev. Max Phillips, Rev. Jim Lamb, and Rev. 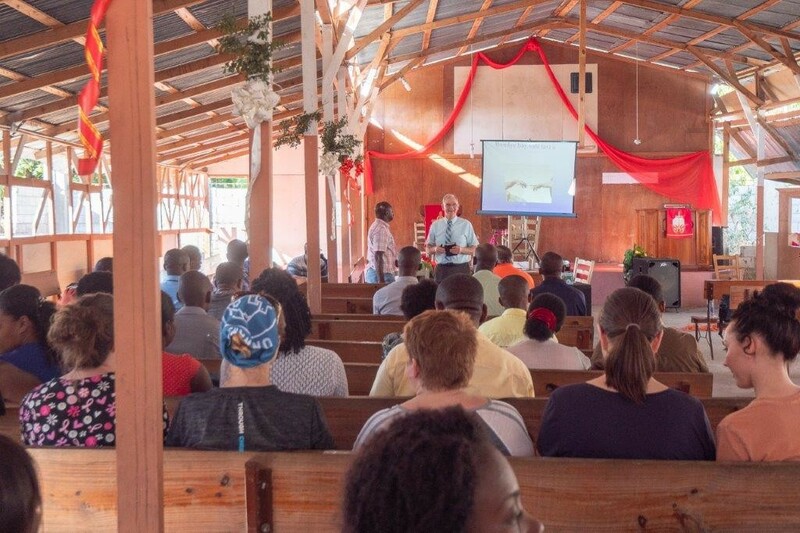 Mick Wolfram, spent time teaching Haitian seminarians that traveled near and far about theology, Luther’s Small Catechism, the value of life from fertilization to natural death, and spiritual care for elders. 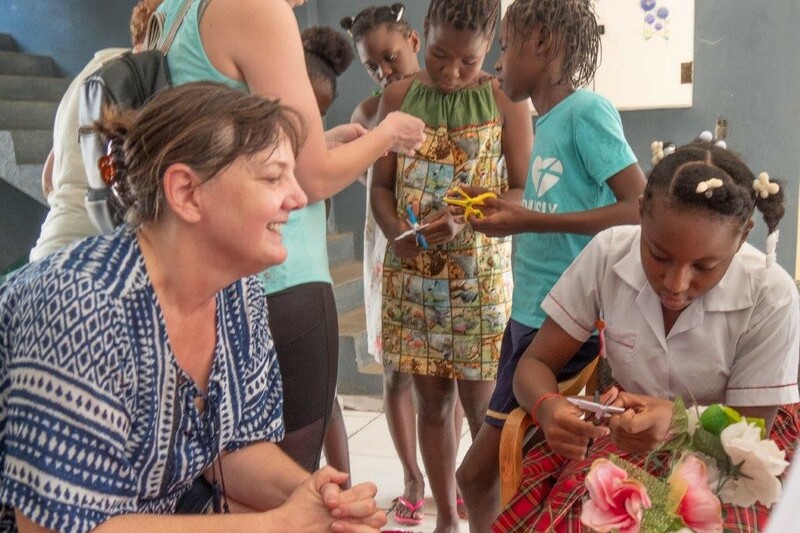 The remaining team members, Wanda Pritzel, Kim Laube, Holly Eldridge and Mollie Clark unpacked all 22 suitcases and worked to organize, label, plan and distribute over-the-counter medication, medical supplies, personal care items, clothing, shoes, table service items and more. 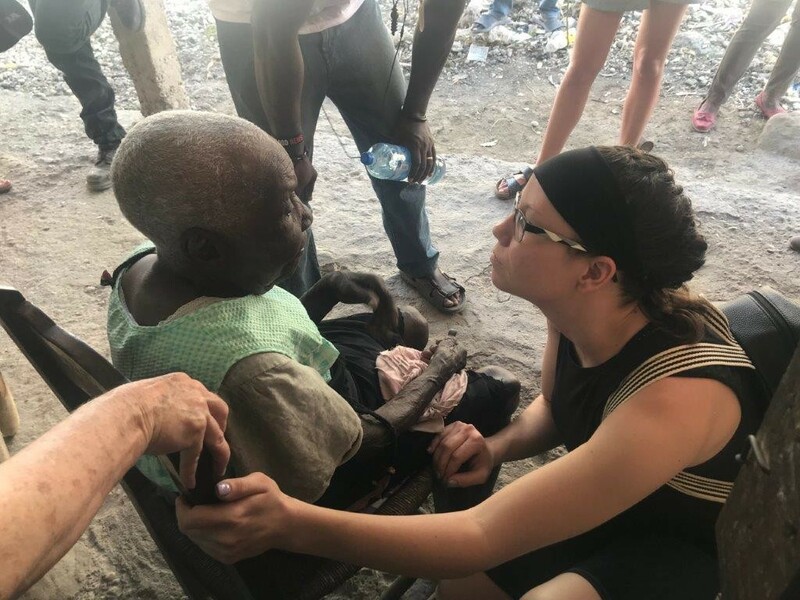 The next day was spent driving the streets of Jacmel and navigating various terrain to assess known elders that may be in need of admission to the eldercare home. 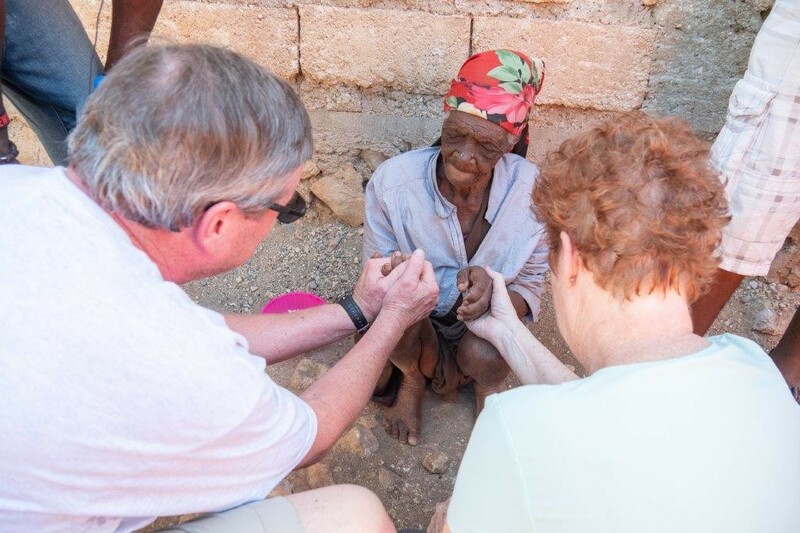 During assessments, it was common to see these elders laying or sitting on the ground or on concrete inside a small space they called home with little-to-no belongings, no food and no water. All were in pain, hungry and lonely. Yet surprisingly most were filled with joy. Each of our pastors tended to the spiritual needs through prayer and blessing. One elder in response prayed for our team. All of them were alive because of the kindness of a neighbor or stranger or family member that was able to bring them some food some times. 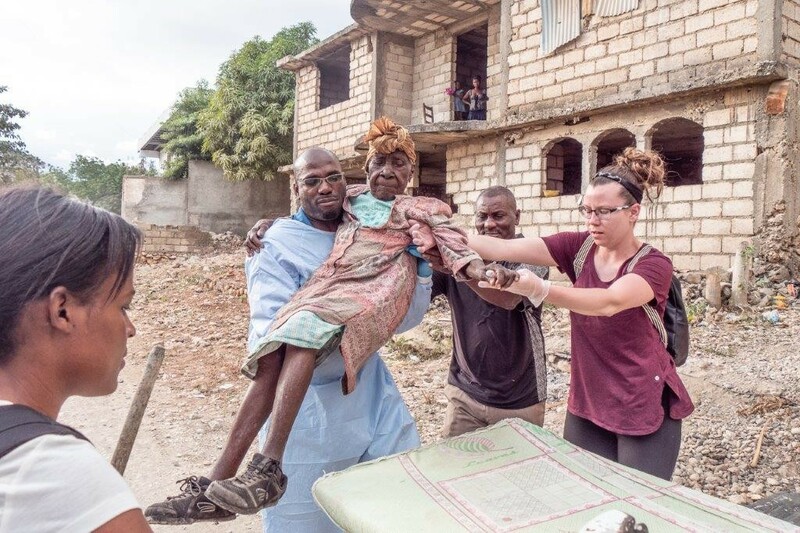 The promise of food was nearly all it took for these elder citizens of Haiti to trust a team of strangers who spoke a different language to move them them to a place they’ve never been to or heard of. 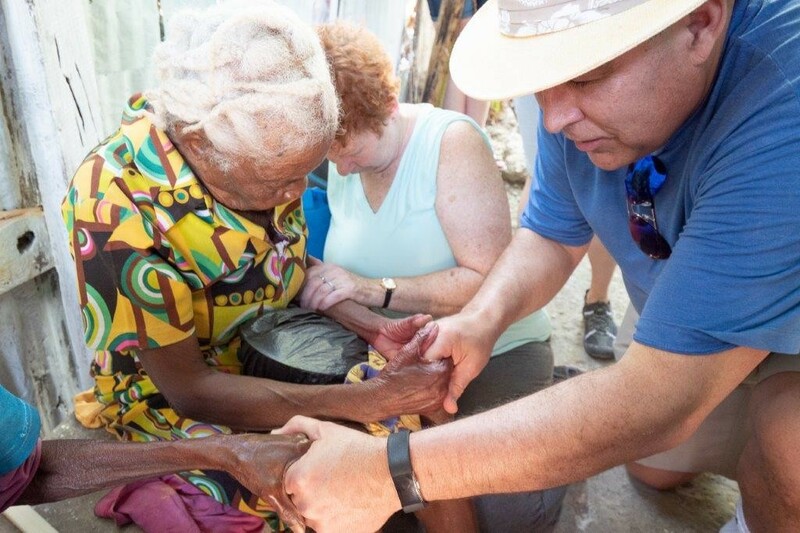 In a nation of nearly 11 million people, eldercare homes are a rare find in Haiti. In fact, it appears that only two others in the entire country exist. The need for more is dire. The team also spent time preparing the eldercare home so that there would be running water and electricity; a luxury that so many are without. 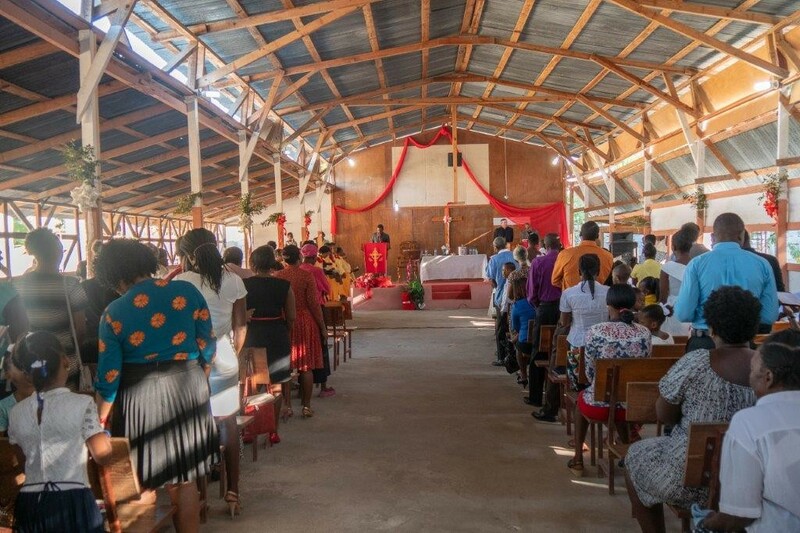 Worship in Haiti was an incredible and joyful experience. Rev. Max Phillips and Rev. 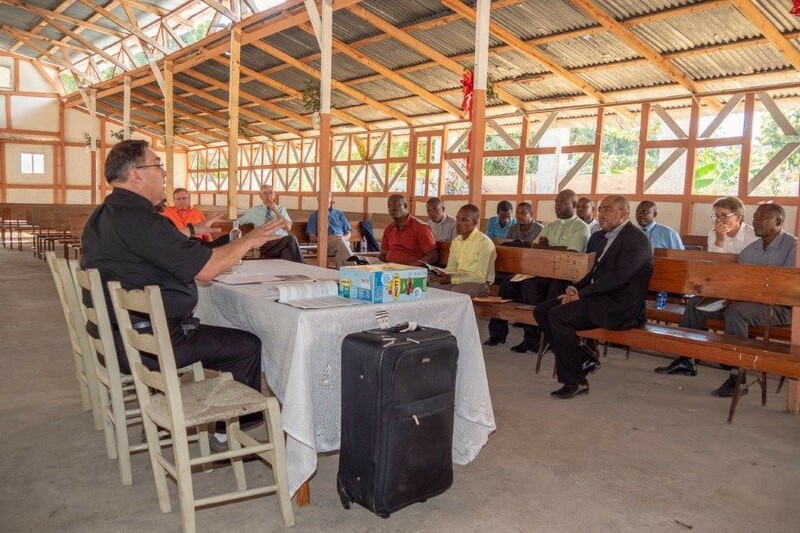 Jim Lamb were asked to preach at the two local Lutheran churches nearest the orphanage and eldercare home. 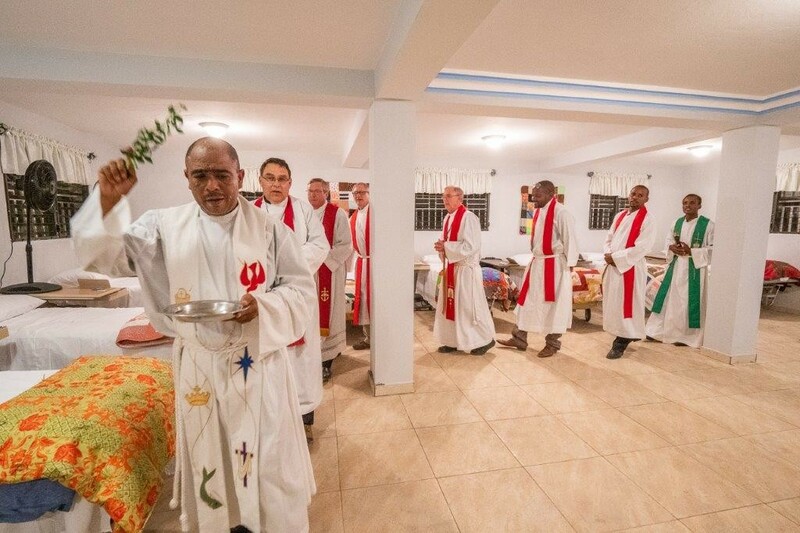 In addition, a dedication service for the Jacmel Lutheran Home was held in the late afternoon with nine clergy participating and special messages from Rev. Dr. Steve Turner, Rev. 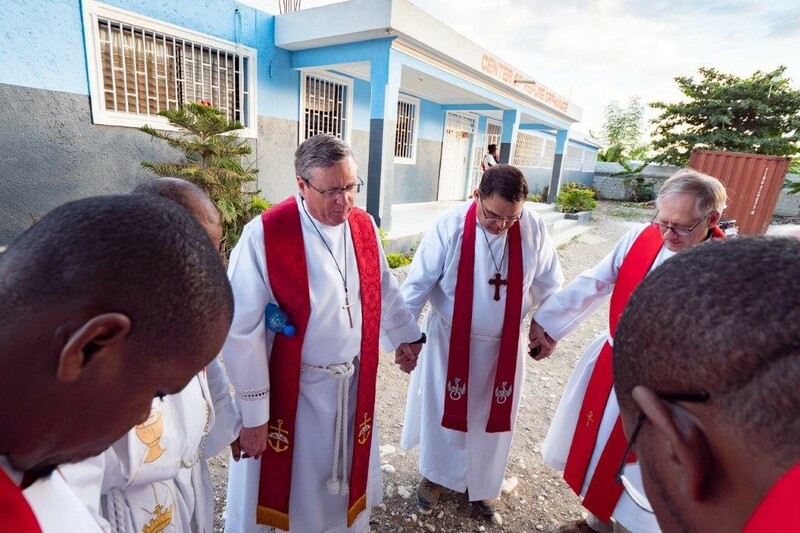 Max Phillips and Pastor Marky Kessa who also serves as the mayor of Jacmel, Haiti. 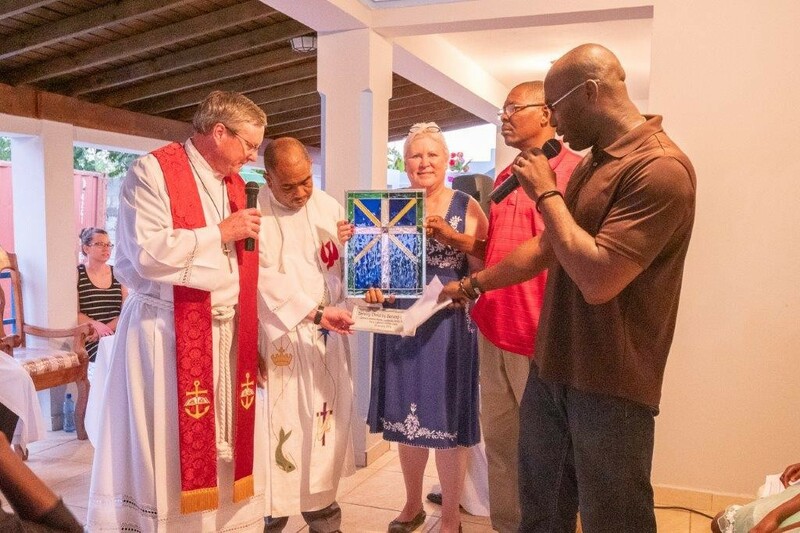 A presentation was made of a stained-glass art work showing the bond between the Haitian church and the work of Lutheran Family Service and Perry Lutheran Homes. Praises abounded from the choirs and congregation. The dedication service concluded with the children from the orphanage singing songs that they had prepared. The process to transport residents from their current home to their new home was unlike anything ever seen in the United States. 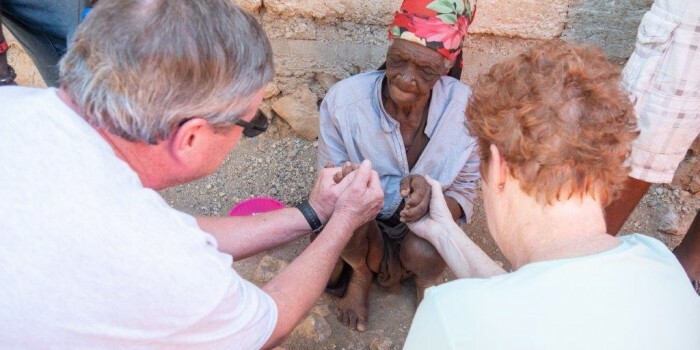 The elders were carried out of their home and placed onto a small mattress in the bed of a pickup truck. An umbrella was held to protect them from the relentless sun. 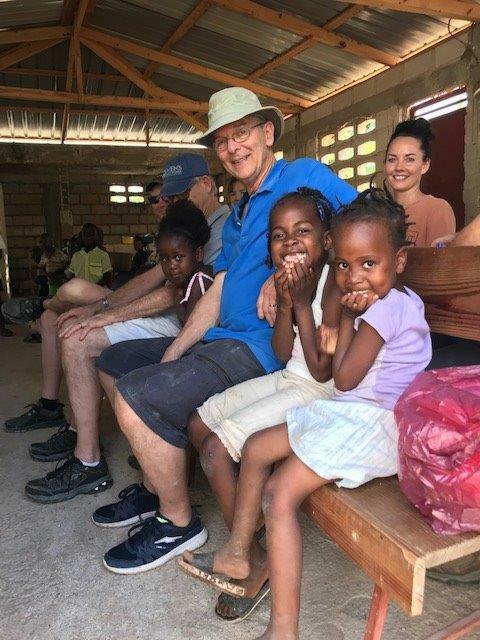 From there it was a rough ride through the unpaved streets to the Jacmel Lutheran Home. 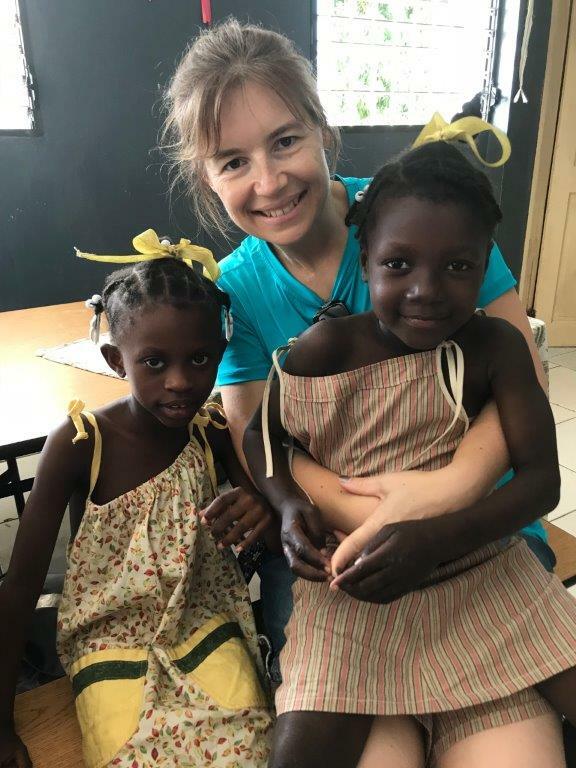 Upon arrival, a flurry of action took place to include feeding, bathing, washing hair, nail care, skin care, medical care and spiritual care. 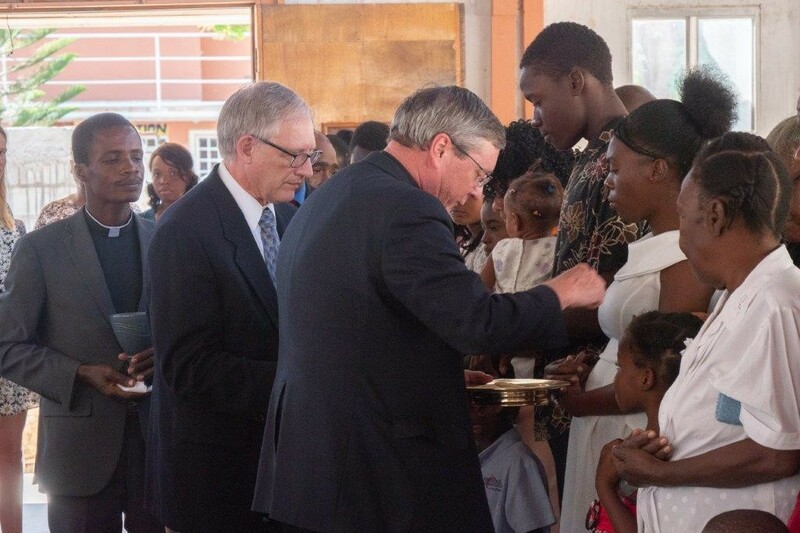 While on-site, five elders were admitted to the new home, Vanita, Michelle, Madam Fernand, Madam Pierre and Cibien. 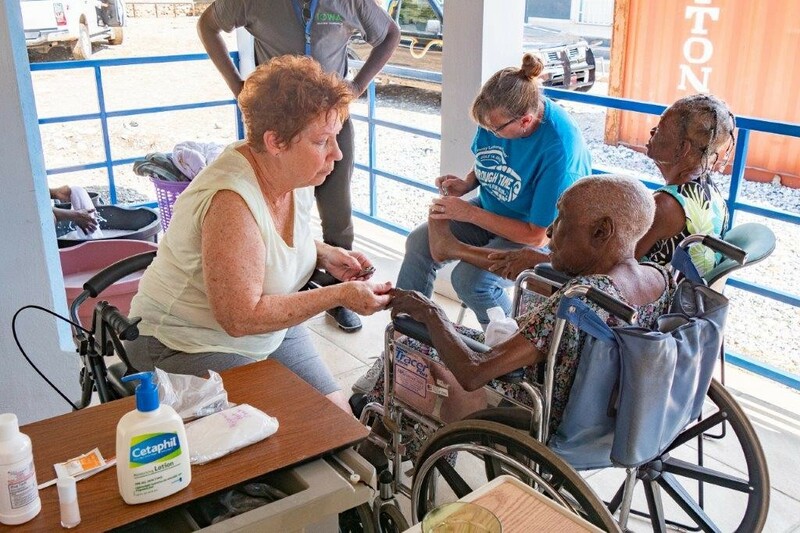 Working as a nurse and caring for elders is all new for the Hatian staff, so a good routine will take some time to be established prior to admitting the next five residents. A team of four, Wanda Pritzel, Mollie Clark, Kim Laube and Holly Eldridge, spent time teaching staff at the Lutheran Orphanage next door about healthy child development, mental health care for traumatized children, and the benefits of intergenerational interaction between the children and the elders. Perry Lutheran Homes and Acorns & Oaks childcare were held up as successful examples of an intergenerational program that provides numerous benefits to both elders and children. 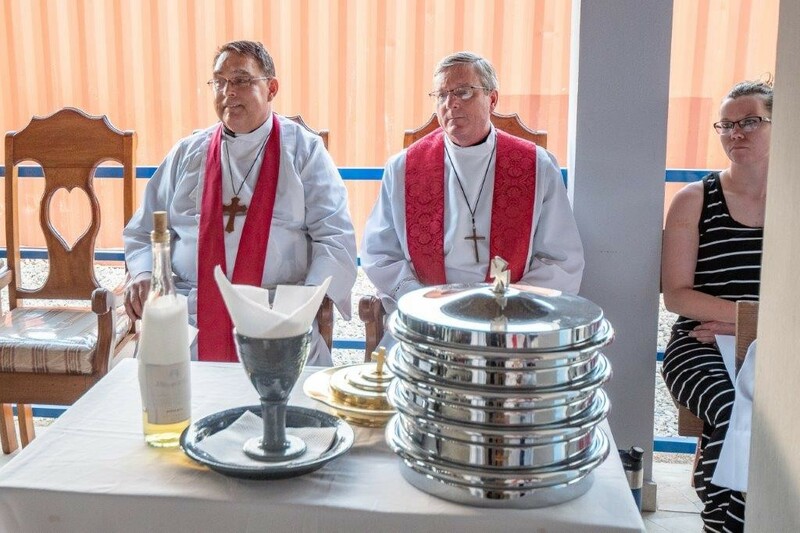 “This is an example of the magnitude of ministry work that can be accomplished through the shared work of organizations leveraging one another’s strengths and areas of expertise. Lutheran Family Service and Perry Lutheran Homes work hand-in-hand as a shared ministry to change lives throughout Iowa and the Midwest, and now in Jacmel, Haiti through a long-term relationship with Ministry in Mission and the financial partnership of the Lutheran Women’s Missionary League (LWML),“ states Rev. Max Phillips, Executive Director of Lutheran Family Service and CEO of Perry Lutheran Homes. 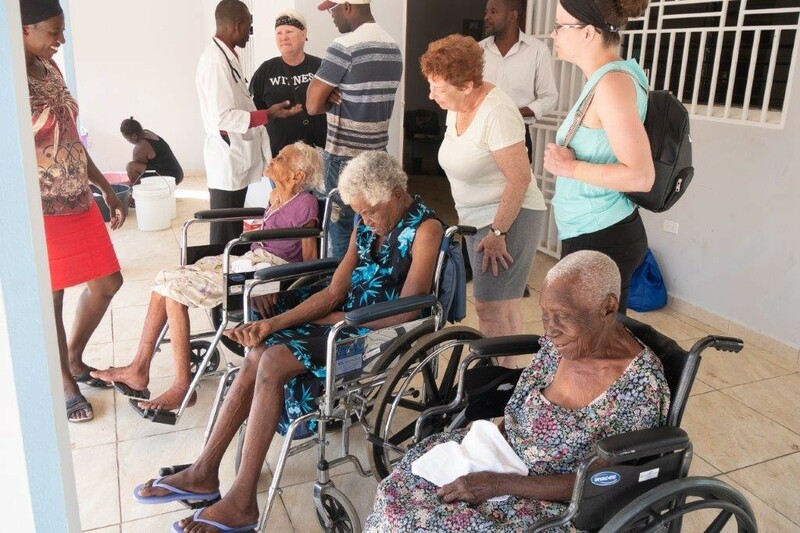 Thanks to all who provided over-the-counter medications, medical supplies, personal care items, clothing and more which were delivered to the Jacmel Lutheran Home and orphanage by the team. To see additional photos from the trip, please visit the Lutheran Family Service Facebook page at https://www.facebook.com/LutheranFamilyService/.